Well Zach is 19 weeks old today. The time is flying by and i've been noticing for the past few weeks that his milk just doesnt seem enough for him. I dont think i've mentioned before but Zach has a dairy intollerance which has made me really scared to start weaning as all the foods I gave Gracie as first foods mostly contained some kind of dairy. 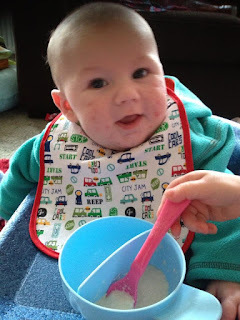 Well at the weekend he had his first ever taste of food ,after doing some research I found some baby porridge and baby rice that is non dairy for his first tastes. 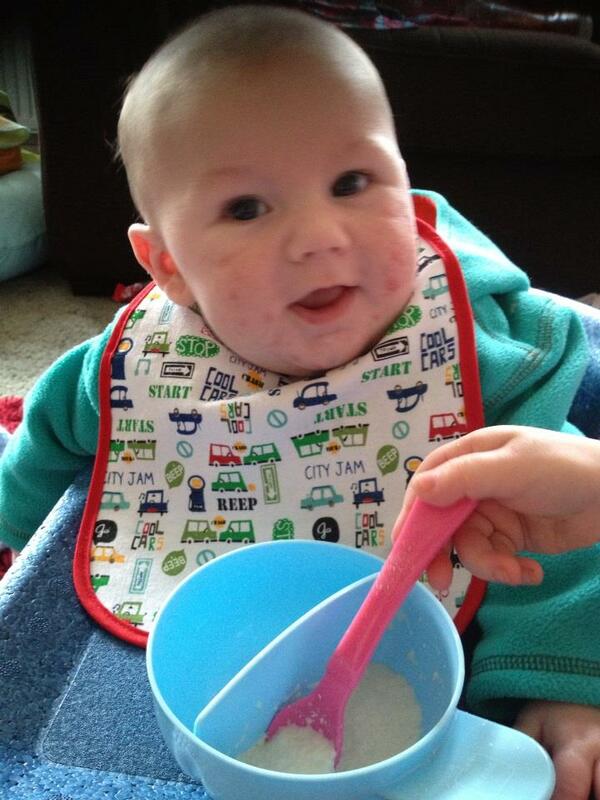 So far he has tried Plum baby porridge and he loved it! As well as the porridge I found few brands of jarred foods, however i have decided that i'm going to make homemade baby food and freeze portions rather than feed him jarred foods. Now I will admit i'm not a great cook. I can make easy stuff like roast dinners, stews and hotpots but im not very adventurous when it comes to cooking food. This means I now need to learn how to cook different fruits and vegetables and find nice taste combinations for a baby. I'd love to hear some suggestions! What were your babies favourite foods?